Spring is here, so its time to Spring forward, take out the old and bring in the new. 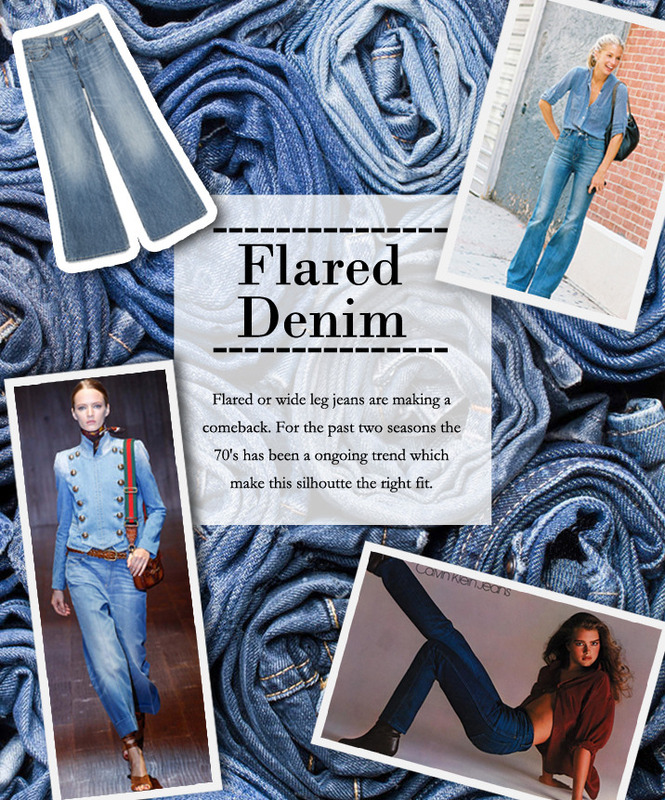 Flare Jeans made a reemergence during the Spring '15 and Fall'15 collections. Skinny jeans has been the consumer favorite for years and now the flare or wide leg jeans are back. I spoke with Celebrity Stylist Rachel Wirkus who've worked with Lily Aldridge , Karlie Kloss, and Liv Tyler, on her tips on how to how to wear flare jean. "I love a flare jean! The best way to wear this style is to pair it with a tucked in top. The top can have a ruffle or billowy sleeve but it is nice to remember to keep the shirt tucked in! Adding a belt to this look will accentuate a small waist. Pair with a high heel like a clog style mule or platform sandal and this will give you legs for days! Whether you opt for a more casual distressed flare with flats or a sneaker or a skinny high-waisted fit like I described above, hem line is important! Make sure the jean doesn't drag on the floor, it should hit right at the bottom of the shoe for a perfect flare!" 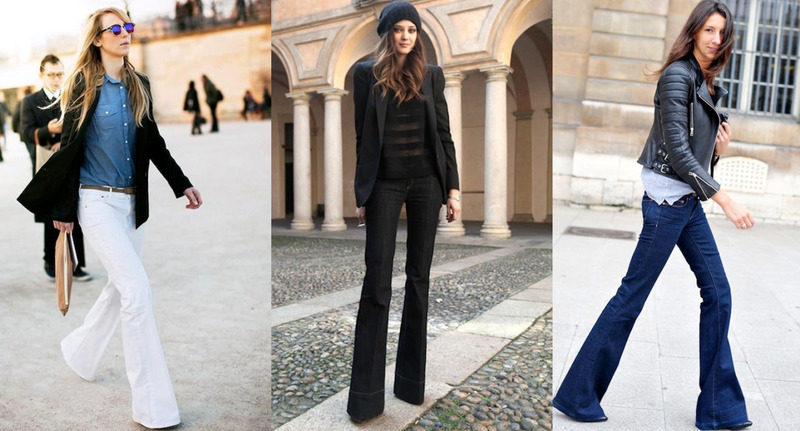 How do you feel about wearing flare jeans?